QSR International had the most liked content! Welcome to the questions and answers forum for NVivo for Mac. Whether you're an advanced user or just starting out - feel free to ask a question or start a discussion. The Customer Support team monitor this forum and are happy to help but we also encourage you to help each other - it's good karma You might find these resources useful too: Getting Started Guide Video tutorials Online course: Getting Started with NVivo Frequently Asked Questions (FAQs) If you’re experiencing technical issues with our software, you can contact Customer Support. Welcome to the suggestions forum for NVivo for Mac. This is the place where you can suggest new features or enhancements and the development team will consider them for future releases. Just outline your idea and let us know how it relates to your research goals. If you’re familiar with NVivo for Windows, you’ll notice that NVivo for Mac doesn’t contain all the same features right now—but more features will be added over time. To compare the functionality of the two products refer to the feature comparison table on the QSR website. If you’re experiencing technical issues with our software, you can contact Customer Support. Welcome to the questions and answers forum for NVivo 9 and NVivo 10 (previous versions of NVivo). Feel free to ask a question or start a discussion about these older versions of the product. We also encourage you to share your knowledge by helping other users – commit a random act of kindness today! Consider upgrading to NVivo 11 for Windows to take advantage of the latest features. If you’re experiencing technical issues with our software, you can contact Customer Support. Scheduled maintenance: Sunday 18 September 2011 We will be performing scheduled maintenance to our user forum on Sunday 18 September 2011 from 9.00am to 1.00pm Australian Eastern Standard Time. We will be making updates to improve your experience of our forum. During this time, you'll be able to read content on the forum but won't be able to post content. We apologize for the inconvenience, and appreciate your patience and understanding. If during this time you have a general inquiry, please feel free to email info@qsrinternational.com for more information. If you are looking for support using our software, you can contact our English language support team via our support form. Please be sure to include all information that's relevant to your query, such as error logs or specific software functions you may have been performing if an issue arose. You can also find communities who use our software on Facebook, LinkedIn and Twitter. We look forward to sharing our enhanced user forum with you! Supplementary information View a World Clock to see what time this maintenance is occurring in your time zone. Scheduled maintenance: Sunday 18 September 2011 We will be performing scheduled maintenance to our user forum on Sunday 18 September 2011 from 9.00am to 1.00pm Australian Eastern Standard Time. We will be making updates to improve your experience of our forum. During this time, you'll be able to read content on the forum but won't be able to post content. We apologize for the inconvenience, and appreciate your patience and understanding. If during this time you have a general inquiry, please feel free to email info@qsrinternational.com for more information. 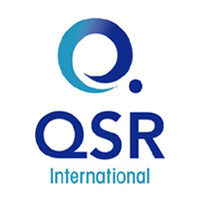 If you are looking for support using our software, you can contact our English language support team via support@qsrinternational.com and you'll receive an email response within one working day. Please be sure to include all information that's relevant to your query, such as error logs or specific software functions you may have been performing if an issue arose. You can also find communities who use our software on Facebook, LinkedIn and Twitter. We look forward to sharing our enhanced user forum with you! Supplementary information View a World Clock to see what time this maintenance is occurring in your time zone.